So we’ve all heard people talk about “True Love”. Women and men alike both spend vast amounts of time looking for it. They think that they will find someone like they see in the movies, and that their entire relationship will be blissful because they’ve found “The One” and they are certain that it’s “True Love”…. Ask any married couple that’s been together 30+ years if they are in love and the answer is almost certainly a yes. Ask that same couple if it’s been blissful and they will most likely laugh at you. As humans, we tend to think that love is something we just “feel” when we really like someone to the point of being drawn to them like a magnet. Scientists would tell us that love is just the result of chemical reactions in our brain that make us feel strongly toward a person. God is Love and we are created in his image, so we have the capacity to love. “True Love” can only exist in a relationship when God is in the middle. When we bring God into our relationships, he allows us to have the capacity to see through the faults and short comings of our spouse. He also allows our spouse to do the same with us. God binds us together, and when we get frustrated with our wives and husbands, God steps in and lovingly shows us what to do and how to act. 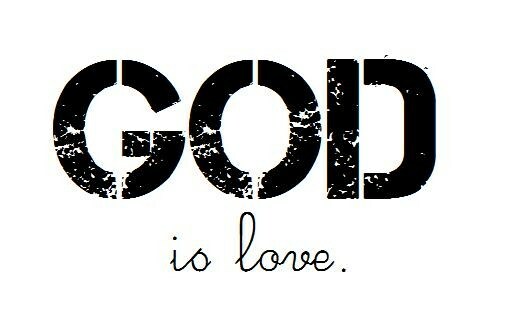 Love is also proof of God’s existence. Without Love and it’s cousins compassion and empathy, mankind would have destroyed itself by now. Ok, back to relationships. Sometimes your wife will make you feel like pulling your hair out and you know what? It’s completely normal. I’d be worried if our relationships were perfect all the time. God gives us the ability to love our wives more than we ever could on our own. With God, we see them the same way that Adam must have seen Eve when God created her. If you haven’t seen your wife like that, pray and ask God to give you abundant love for her, and to allow you to see her as he does.